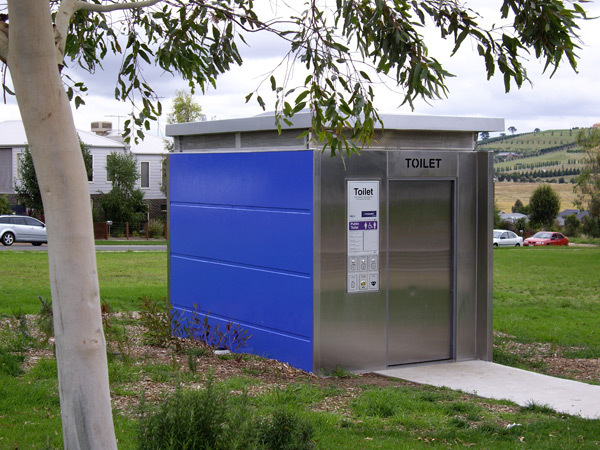 A new Exeloo Titan unisex fully accessible APT was purchased by Hume City Council as part of the extensive public park upgrade in Sunbury. The Titan was selected, not only for its robust design and construction but it was important to Council that the unit complied with all aspects of the building code in particular when it came to accessibility for disabled users. Due to the park upgrade there is a larger number of younger children and their parents enjoying the facilities. 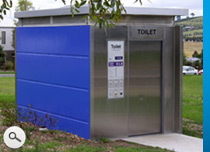 Public safety is important to Council and it was paramount that the new toilet and the location fit in with latest CPTED principles. To eliminate loitering of undesirables for example, the toilet is located such that door is visible from the pathways and seating areas. 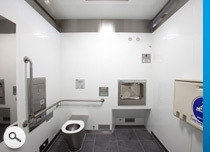 Clean and hygienic was another key consideration in the selection of the new toilet for Sunbury Park. 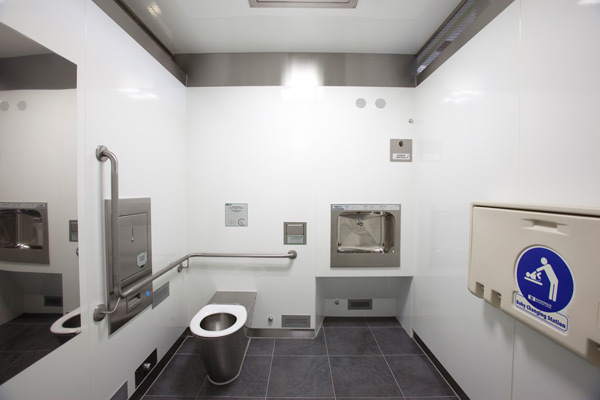 The "Touch Free" sensors for door opening and closing, the touch free hand washing station and the automated floor and toilet seat wash have all been included in this unit to ensure the best possible toilet facility is provided. The requirement for the new toilet to ascetically fit in with the surrounding and provide confidence for the users was another element to be considered. The side concrete walls of the Titan are coated in a graffiti resistant blue paint which blends in well with the surrounding gardens and new playground equipment.